By the end of the first week in November, we were starting to take the last real harvests of the 2015 season. 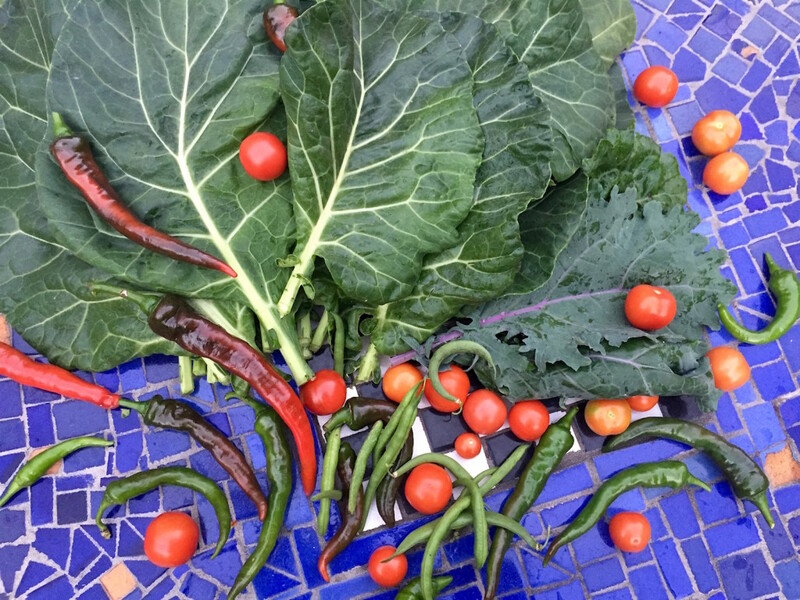 Kale, collards, Fox Cherry tomatoes, Hot Portugal peppers, a few late-planted bush beans, and a few stray Shishitos were in the mix. Harvest, November 8. Kale, collards, cherry tomatoes, bush beans, peppers. We had saved seed from our own crops: Brandywine Tomatoes, Fox Cherry Tomatoes, Hot Portgual Peppers, Shishito Peppers, Blue Lake Pole Beans, and Genovese Basil. 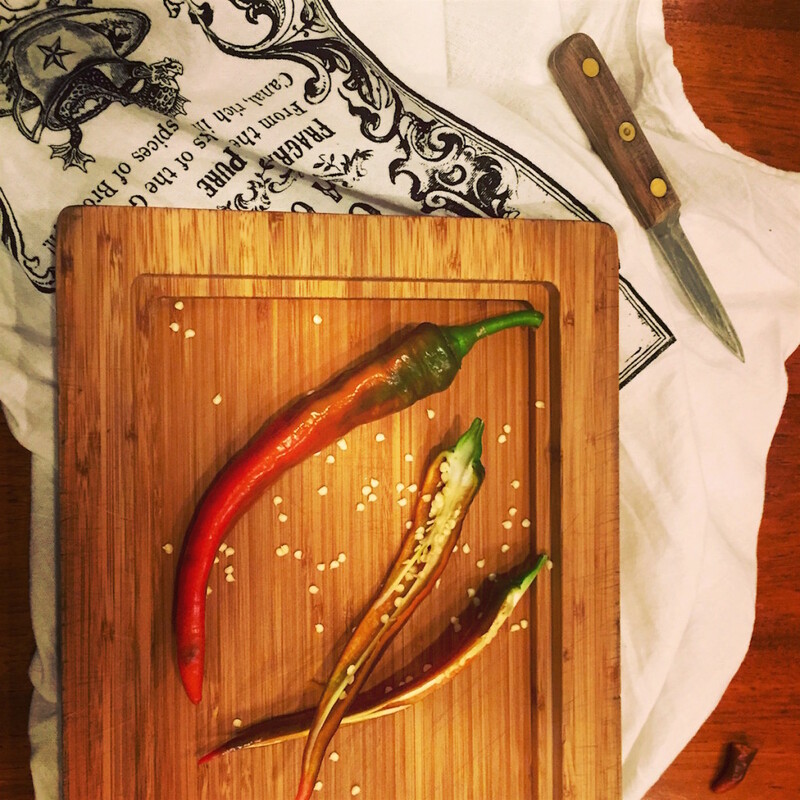 I also like to think that local farms have done some of the homework in terms of selecting varieties that grow well in this area, so I supplemented our own harvest with a couple of peppers from the farmer’s market in Union Square: Hot Cayenne and Hot Serrano. Our Hot Portugals were yummy and mildly spicy-sweet, but they took a hecka long time to flower and mature, and I had wanted them for adding heat to our pickle jars earlier in the season. They arrived months after pickling day, and would have been twice as long as a jar anyway—way too big. So I added the Cayenne and Serrano varieties to our seed saving mix this year. They are the right size for a pint jar, and I am hoping there will be a few harvestable ones in early August. Hot Portgual peppers, processed for seed. In order to track our progress each year, I try to quantify the harvest as best I can. I keep a written journal of most of the important activities and progress in the garden, and the journal includes a penciled-in log of any harvests that happen during each week of the season. When I have the chance, I copy that handwritten data into a little spreadsheet I made which handles some of the calculations I’m interested in and updates the totals automatically for me. 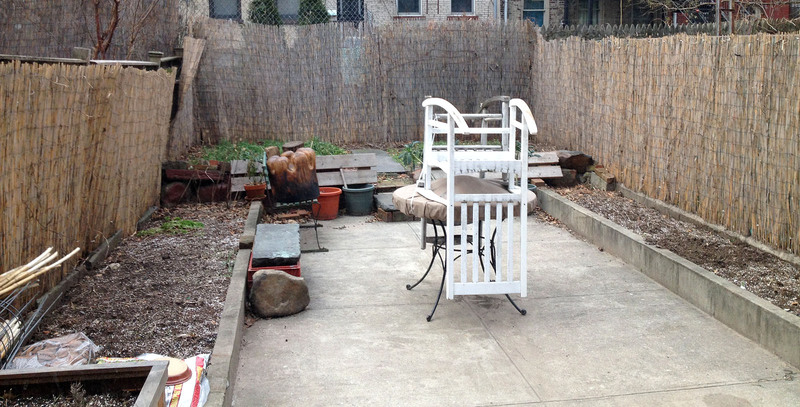 This spreadsheet is designed specifically for small gardens, not farms, and possibly not even for very large gardens. 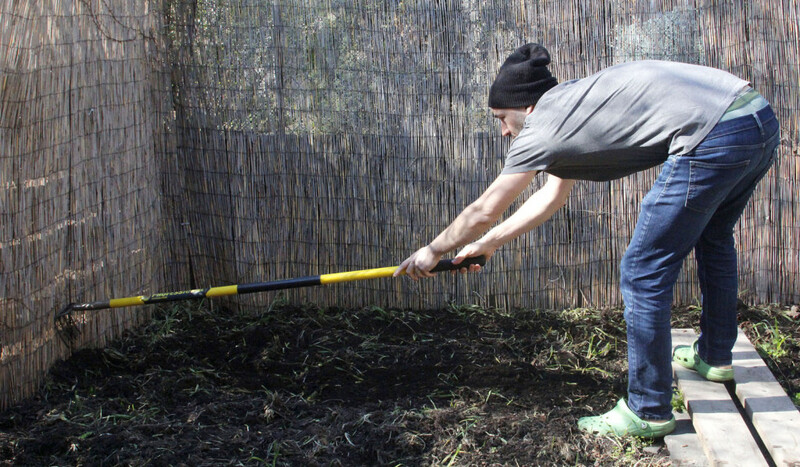 It’s targeted for situations where you harvest small amounts and can keep track of harvested items as single units (for most things) or small bunches (for herbs), rather than as large bulk amounts such as bushels. 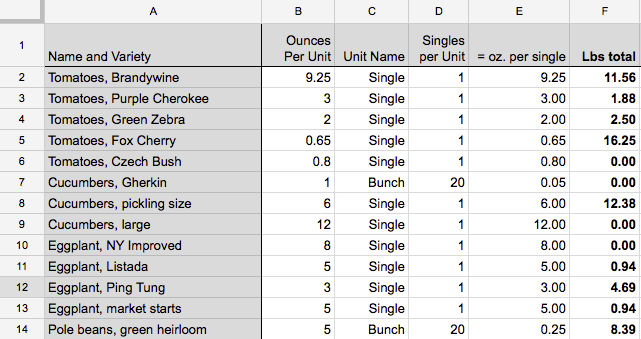 The concept behind this spreadsheet is that once you add in some typical values at the start of the season for the weight of a given variety when harvested (like the average weight of one cherry tomato), the spreadsheet does all the rest of the calculations as you add to your counts each week. It does its math based on counts, so that you don’t have to keep weighing each time you harvest, just tally how many single items you harvested that week. I’ll post a link to a working .xlsx spreadsheet at the end of this post, which is free for you to use and tweak as you see fit. 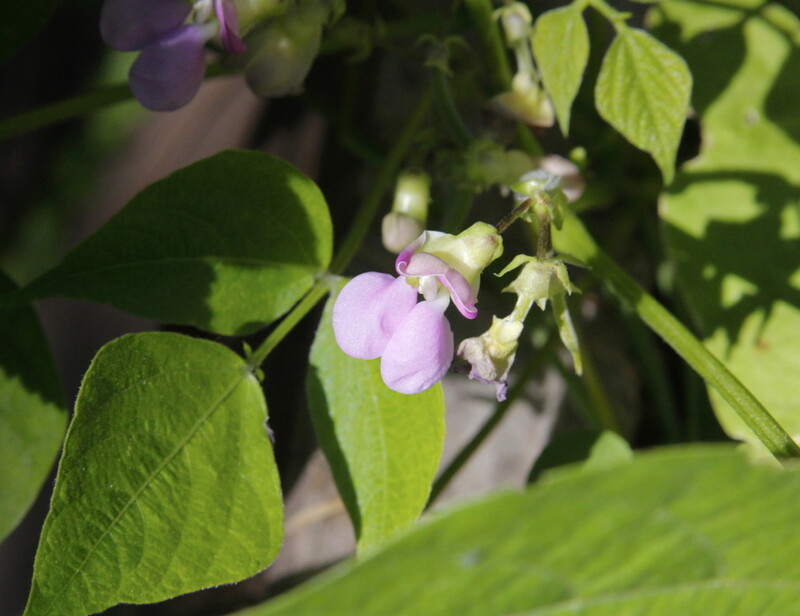 In early October, we were starting to see the first signs of possible fruiting coming in from our recently planted bush beans. 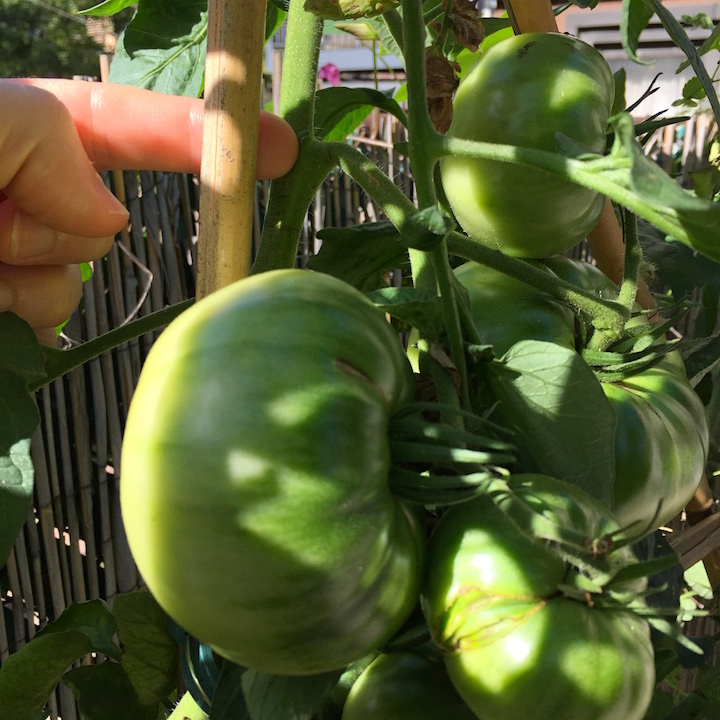 First time growing them, and a spot didn’t open up until late in the season, so we weren’t sure if anything would come of this experiment. Lovely pink flowers. 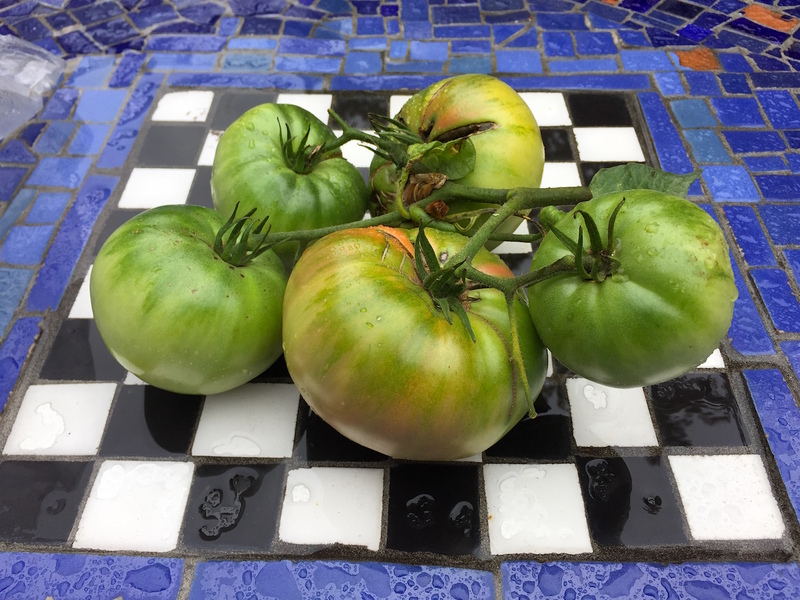 To our surprise, our Brandywine tomatoes made a late flush of rather giant fruit. As the daylight hours and temperatures were dwindling, we weren’t sure if these would ever ripen. About ten of them were taunting our tastebuds (and my harvest spreadsheet) from the vine early in the month. Temperatures started leveling off and even warming up, but nothing would reverse the hours of sunshine hitting them. I pruned the lower leaves and any diseased leaves as well, and made sure no new flowers were developing. I also cut back dramatically on any water they were receiving. These things stress the plant into putting its last remaining energy into ripening. One recommendation even was to jiggle the roots… sure, why not—who am I not to jiggle the roots? Sometime in early Spring of 2015, we spotted a few bulbs sprouting up in the side beds and the fall green manure cover crop perking up in the rear bed. I knew that the green manure mix was supposed to survive the winter, but I was impressed all the same. It was great to have some green shoots decorating the bleak vista without having to do any work to get them to appear. Following the guidelines for the green manure mix, I waited a few weeks and then turned them under in order to kill them off, let them decompose as new organic matter, and give the soil a blank slate for our spring vegetables. I considered covering the soil to block the sunlight and prevent them from reappearing, but ultimately decided to try leaving them be. I was careful to avoid walking on the soil, so as to avoid compacting it. I’ve worked hard to bring it up to a friable, spongy texture over the past three years that the plants’ root systems seem to appreciate. We have maintained existing bulb perennial flowers in the beds, moved a few more around within the garden, and planted mixes of wildflowers along the inside edges of the side beds. The bulb flowers tend to be spectacular and sometimes grow up to six feet tall. The wildflowers soften the edges of the concrete beds and attract tons of pollinators to the garden. We also plant a few flowers which are known to discourage unwanted insects such as mosquitoes and plant-damaging species. This year, a few of both the bulbs and the wildflowers grew tall enough to shade some of our veggies, which was a side effect we were not expecting. Next year we might be a little more specific about what height of flower gets planted where in the garden. Overall they are a great addition.